This handy book takes you through the A to Z of Saudi Arabia, from the abaya to Zabaydah road, encompassing everything from dust devils to Makkah and marriage. Did you know for example, that Eve is said to be buried in Jeddah? Do you have any idea how a camel stores its water? With over 500 entries, enhanced with colour photos throughout, this is an invaluable reference for anyone learning about the kingdom, its traditions, customs and people. 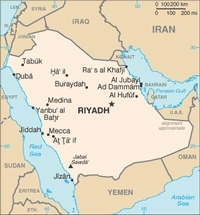 This guide covers: Bahrain, Kuwait, Oman, Qatar, Saudi Arabia, United Arab Emirates and Yemen. Grand ruins of empire, cities of glass and steel - these indisputable treasures of Arabia are easily matched by simple pleasures: a desert breeze, the haunting call to prayer or kahwa (coffee) with strangers. Inspirational images, city walks and recommendations from our expert authors. Planning features and top itineraries to help you plan the perfect trip. Local secrets and hidden travel gems that will make your trip unique. Plus Expats Planning feature, full-colour feature on the Hajj, Islam Understand feature and Safe Travel tips. The Gorilla Guides have already been widely acclaimed by Chambers of Commerce and the export desks at Trade Partners UK. Each guide is written by a highly experienced author with extensive, practical knowledge of the target market. They are the only mainstream publications to focus exclusively on business travel. Produced in handy pocket format, the guides include a series of maps, historical information, industry overviews, information on setting up a permanent operation, plus a city-by-city tour of the country. Contents: - Essential tips on where to stay and how to get started - Local customs, business etiquette, basic vocabulary and useful phrases - Where to lunch and dine a local guest - Full details of organisations offering support and advice - Authoritative insights into the major economic and commercial sectors - General travel advice - The nitty gritty of import regulations and dealing with customs - Advice on local partnerships and regional offices - Appendix of useful contacts. Een gids die geschreven is voor reizigers die de waarden en opvattingen willen begrijpen in het land dat ze bezoeken. Onder andere komen aan bod: historische en politieke achtergronden; religie, gewoonten en tradities, wat je moet doen en beter kunt laten, lichaamstaal, etenh en drinken. CultureShock! 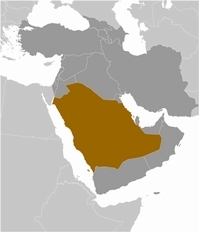 Saudi Arabia provides an insight into living and working in a kingdom where Islam governs almost every aspect of life. Uncover the true psyche of the Saudi people-the men clad in their thobes and gutra and women in their abayas-and their unique way of life, a lifestyle which foreigners may find alien and a challenge to cope with. Containing valuable information not only on the practical aspects of settling in, this book will give tips on how best to integrate into Saudi society. Learn about Saudi laws and be aware of what might get you thrown in jail or under the executioner's axe. CultureShock! Saudi Arabia is essential for anyone who wants to fully understand this Islamic country and get the most out of his or her stay in the kingdom. Het Saoedische koningshuis is ogenschijnlijk geheel ongeschonden uit de 'Arabische Lente' gekomen. Het oliegeld heeft woede-uitbarstingen voorkomen, en voor de zekerheid heeft de invloedrijke geestelijkheid alle protest in strijd met de islam verklaard en verboden. Zelfs proberen de Saoedische leiders met hun dollars de ontwikkelingen elders in de Arabische wereld naar hun hand te zetten. Maar gaat het werkelijk goed met Saoedi-Arabië? De machthebbers zijn hoogbejaard; daarentegen is de bevolking extreem jong. De problemen van landen als Egypte, Tunesië en Syrië - jeugdwerkloosheid, corruptie en repressie - zijn ook in Saoedi-Arabië aanwezig. Misschien gaan jonge Saoediërs vandaag nog niet de straat op, maar op Twitter en Facebook is hun onvrede al te lezen. Stel je voor dat het huidige bewind het niet redt. Saoedi-Arabië is de dominante macht in het olierijke Golfgebied. Als het koningshuis valt, legt dat ook een bom onder de andere Golfstaatjes. The photographs in this book were taken between 1860 and 1950, at a crucial period just before the ancient way of life in the region was swept away. The selection draws on all the known photographic collections, from the earliest travel photographers, through to the 1950s. These remarkable images are accompanied by historian William Facey's excellent text which places them in their historical context, plus detailed commentary on photographic techniques by photographic archivist Gillian Grant.